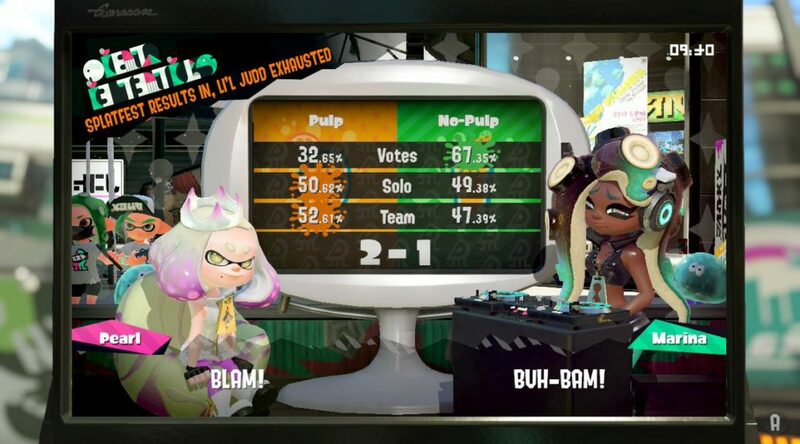 The Pulp or No Pulp Splatfest has concluded in North America and Europe, and we now have the full results. Although Team No-Pulp was the most popular team winning 67.35% of the votes, Team Pulp won the Splatfest thanks to its slightly superior players. Pulp had an advantage in Solo Wins (50.62%) and Team Wins (52.61%). What do you think of the results? Let us know below!